The aim of the Life Raft Foundation is to make a positive difference for people who are often forgotten – children, elderly, disabled, hungry and poor. At present we make financial commitments to sponsor worthwhile projects, individuals and groups through sales of our promotional items together with a percentage of the profits from our training programs and live classes. In future it is our intention to build a network of volunteers to give much needed TIME in addition to financial aid to help these worthy people. 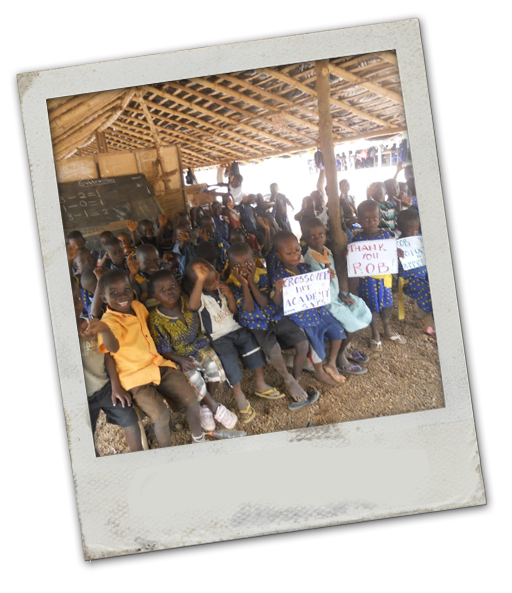 This photo' shows children at the Crossover International Academy in Ghana. The work of principal, David Yayravi, has touched our hearts and we are proud to help as much as we can. You can see a short video about the academy below. In the final quarter of 2018 we've given away more than £1500 and helped a number of local charities and individuals. In 2019 we aim to raise £10,000 for needy causes.